The Northern Ireland European Regional Forum (NIERF) held an information session on the EU funding programme ‘Europe for Citizens’ on 24 April 2015 in Belfast City Hall, where Bruno Denis from the DG Home at the European Commission provided a detailed overview of the programme. 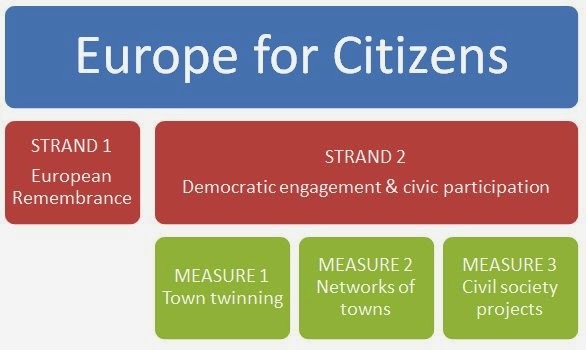 The Europe for Citizens programme was created to foster citizen participation, particularly at a time when electoral turnout is diminishing and many EU citizens do not feel well informed of or involved in the EU. For the 2014-2020 period, Europe for Citizens has a budget of €185million. The programme is highly competitive and previously, the UK has been underrepresented in successful projects. The programme consists of 2 strands – European remembrance; and democratic engagement and civic participation. Projects reflecting on the causes of totalitarian regimes in Europe's modern history and commemorating the victims of their crimes. Projects concerning other defining moments and reference points in recent European history. Those projects must encourage tolerance, mutual understanding, intercultural dialogue and reconciliation as a means of moving beyond the past and building the future. Public local/regional authorities or non-profit organisations, survivors’ associations, and cultural, youth, educational and research organisations, associations of twinned towns. A project must involve at least one Member State, but preference is given to transnational projects. Projects which bring together a wide range of citizens from twinned towns around topics in line with the objectives of the programme and its annual priorities. Projects in which municipalities and associations already linked by a series of town twinning cooperate / work together on a long term basis to explore common themes, share resources or interest, face common challenges. Pat Mulvenna from the North East Partnership (NEP) gave a presentation with details of how the North East Partnership, a vehicle for local authority collaboration across Antrim, Ballymena, Ballymoney, Carrickfergus, Coleraine, Larne, Moyle and Newtownabbey, had participated in the Europe for Citizens programme. NEP was one of 5 partners under the ‘network of twinned towns’ measure on the EUPLETT project. EUPLETT - ‘European Urban Planning via public participation and Local Empowerment in networks and Twinning Towns’ - focused on regeneration of town centres.